The Conservatives will drag England’s schools into the past by reviving grammar schools, demoralising teachers and cutting resources, according to the new shadow education secretary. 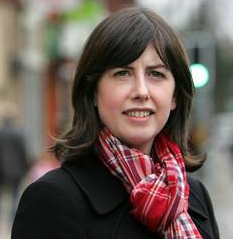 Lucy Powell, who took over the education role last week following Jeremy Corbyn’s leadership victory, said Labour would fiercely contest any move by the government to allow the revival of selective schools. A decision on the proposed expansion of a Kent grammar school is expected soon. “If the government agree to this one school, the legal precedent will open the floodgates to a massive expansion of selective education – something that is bad for social mobility and aspiration, for children, parents and the wider schools system,” Powell said. Labour would back the legal challenges expected if the Department for Education approves an application by Weald of Kent grammar school in Tonbridge to build a new site in Sevenoaks, nine miles away, which opponents say amounts to opening a new school.